Hey babes! I am so freaking excited about today’s post because I LOVE BEING TAN. 1. 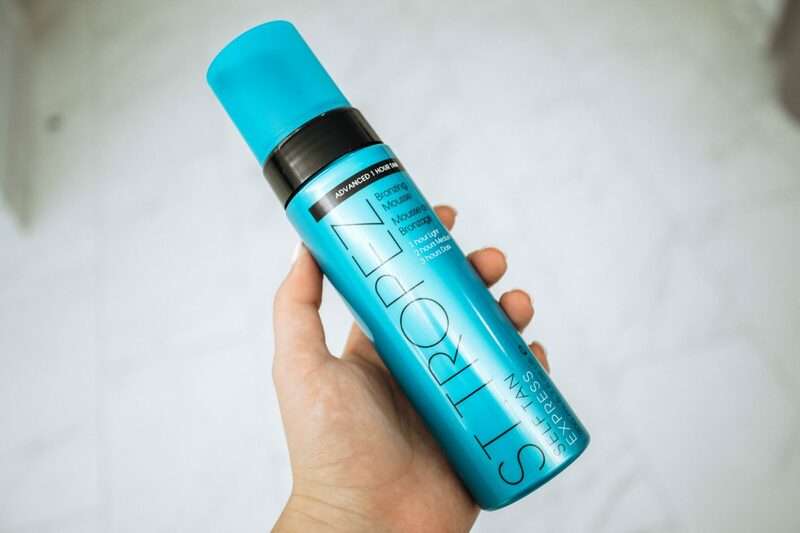 The St. Tropez Self Tan Express Bronzing Mousse is God’s gift to self tanning. Notice how I put a period instead of an exclamation mark at the end of that sentence? Yep, that’s how serious I am. I think the products you use are key when self tanning. I only leave this stuff on for an hour then wash it off. It takes a couple hours to develop after you shower it off, but the color it gives is fab. If you’re more tan naturally, you can keep the product on longer before showering. Also, don’t sleep in this stuff! There are other St. Tropez products that you’re supposed to sleep in, and this is not one of them! 2. Always, always, ALWAYS use a mitt! If you don’t your tan will be ridiculously streaky and your fingers will look like Cheetos. Trust me. 3. Wash your hands with a BAR OF SOAP after you’re done tanning. I heard somewhere once that bar soap is the enemy of the self tan. It’s true. Sometimes you can get the product on your hands when you’re applying it — even with a mitt. After you’ve washed them, add a quarter size amount of mousse to the mitt and rub it in all over your hands and wrists. Make sure to get in between your fingers! 4. Use a hairdryer to dry yourself off when you’re done applying the product! They do this when you get a spray tan, and it always makes me feel better before putting on clothes after self tanning. Make sure to wear loose clothes! 5. 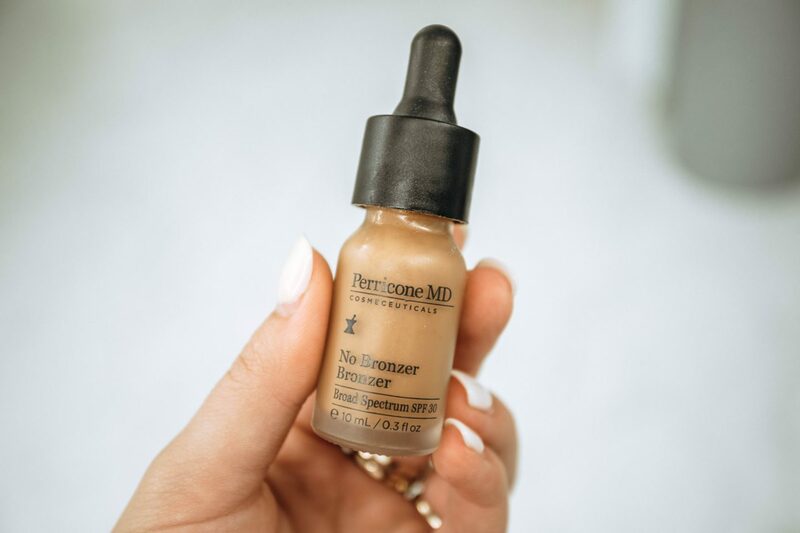 The Perricone MD No Bronzer Bronzer is the key to makeup when you have a fake tan. I struggled for so long trying to find a foundation that matches my skin when I have a fake tan, and I love my normal foundation so much, I hated having to change it. I found this at Sephora a couple months ago, and it has changed my life! Add a couple drops of this to your foundation when you have a tan, and you’re good to go! This also is great to take on vacay when you get a natural tan. 6. Add baby oil to your body lotion to glow a little extra! 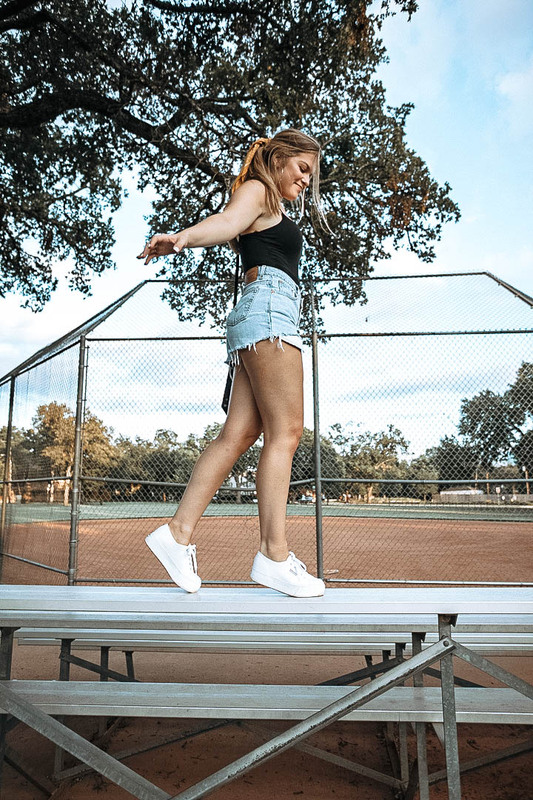 This is my favorite trick to get extremely soft and glow-y legs. If you do this, make sure you have a couple hours to let it soak in. Your legs will be pretty slippery for a while. The ankle straps on the shoes I wore the day before rubbed off the tan on my ankles… ya win some, ya lose some! Hope you guys found this helpful! Let me know what you want to see from me next! 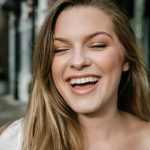 Previous Post Skin Care Favorites! 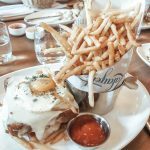 Next Post NYC à la Carte!